Based on high-purity calcium chloride dihydrate, Basic 1 Calcium has been developed as a special additive for all marine aquariums. Basic 1 Calcium improves the healthy growth of corals and invertebrates and allows easy adjustment of the calcium content. The optimum calcium content is 420 mg/L. 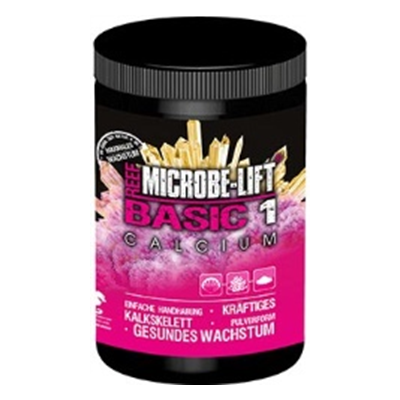 Basic 1 Calcium is highly purified and has no organic contamination. Place 367 g in a measuring beaker and fill this with osmosis water to 1 liter. An addition of 10 ml of this stock solution to 100 liters of aquarium water increases the calcium content by approx. 10 mg/L. Place 500 g in a measuring beaker and fill it with osmosis water to 1 liter. An addition of 7.5 ml of this stock solution, to 100 liters of aquarium water, increases the calcium content by about 10 mg/L. Add 3,7 g to 100 liters of water in your technical basin to increase the calcium content by approx. 10mg / L.